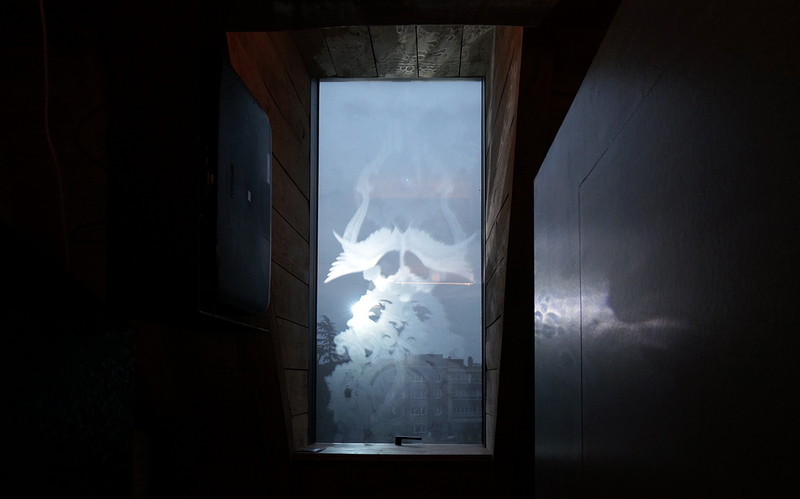 Projection on transparent holographic foil, mounted on window, HD (883 x 1920px), colour/silent, 22'00", 2017. Custom in situ assignment / semi-public permanent installation / Private collection, Ghent. A custom made variation on the work ‘Rosetta‘. ‘Chisel’ is a hypnotic loop of slowly animated ornaments and other elements. 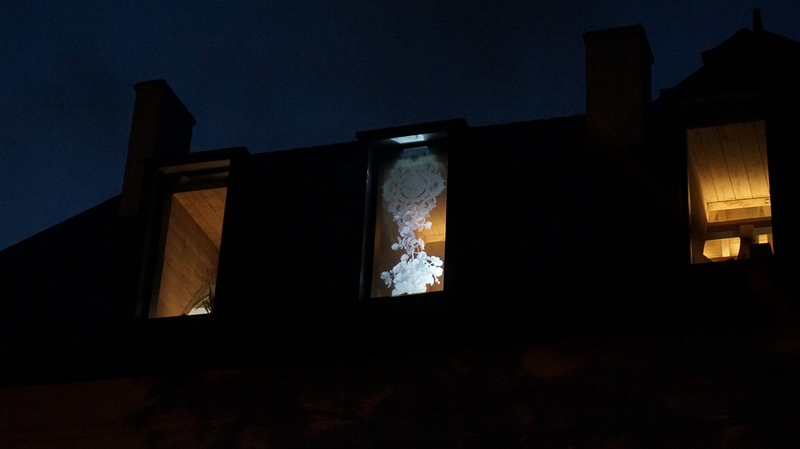 A powerful laserbeamer projects the image on transparent holographic foil, mounted on an attic window. 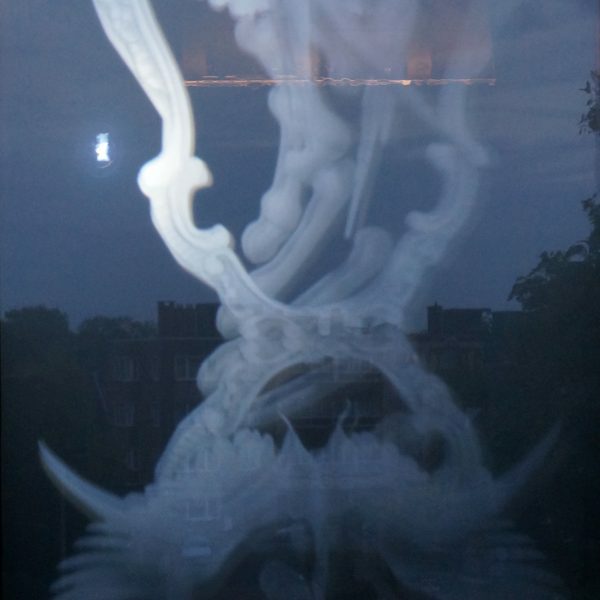 The bright white images resemble moving engraved glass, and perfectly fits the original purpose of the building: a castle gate house. Detail of the projected image.